Indoor plumbing is the most essential of modern conveniences, but it can lead to large problems when sewers become damaged. Damaged sewers will cause plumbing issues in your home or business, and over time it can cause structural damage to your property. Unfortunately, repairing or replacing damaged sewers is a costly and invasive procedure; plumbers will have to do significant digging on your property to sewer repairs. Having a regular inspection of your sewers can be, in the long run, a safer and less costly practice. While you might not have the expertise or equipment to identify major sewage problems, one thing that you can do is regularly inspect the plumbing in your home. Sewage problems often lead to issues with water pressure or flooding in the home, so by looking for these problems you may be able to identify symptoms of something larger. Checking the water pressure and inspecting your pipes for leaks will make sure that, if there are major issues in the sewers, you are more likely to notice a problem. Furthermore, these routine inspections have the added bonus of helping you to identify and fix minor indoor plumbing issues before they get out of hand. 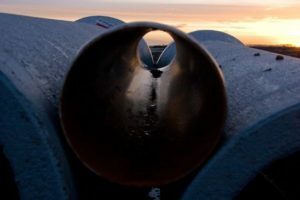 The truth is that all sewers will have problems eventually, and it will be less costly and damaging for you if you catch those problems early. One way to do so is to hire a professional plumber to inspect your sewage every year or two so he or she can make sure there are no problems. While this will cost money, often “for nothing,” in the long run you stand to save thousands of dollars if you can catch a problem early on. The reasons that sewers will all eventually need repair range from accidental damage to the wear and tear of age. For example, tree roots are strong enough to grow into pipes, eventually damaging them. Older trees grow extremely deep roots, so no sewer is safe in the long run. Roots will crack, clog, or even burst sewer lines, leading to major issues. Catching invasive tree roots before they cause serious damage is a good way to protect your sewers. Another issue is that debris commonly accumulates in the belly of the pipes, leading to clogs and, eventually, backed up sewers. A regular visit from a plumber can make sure there isn’t any dangerous build-up, preventing the rather disgusting problem of sewer line backups before they happen. Finally, sewers get old, eroding slightly over the years. This erosion causes them to become misaligned, which can lead to leaks, cracks, and the possibility of sudden failure. Plumbers can replace old pipes using trenchless sewer line repair, a technique that avoids most of the invasive digging of normal pipe replacement, to makes sure that your pipes are in good shape once again. For all you know, your pipes are on the verge of causing major damage, especially to your wallet. The small investment of regular sewer inspections will save you money in the long run, and in the short run, it will buy you peace of mind.